A good registration landing page needs an enticing mix of great, optimised copy; easy to use design, and powerful call-to-actions. Pair this with a well-thought-out post-data collection plan, and you can not only sell-out your event, but make your newly collected data work for you into the future. The most important part of any web-page, is the bit people see before they start scrolling. This is referred to as ‘above the fold’ content. Making sure you have a great image; obvious and concise title, and a clear call-to-action are the most important aspects of good ‘above the fold’ registration page content. It’s important that potential registrants can easily access and assimilate the agenda for your event. When choosing from hundreds of potential events to invest in, this is the most important consideration for applicants. Create a clear list; including speakers, times and subject matter- and display it prominently on your page. 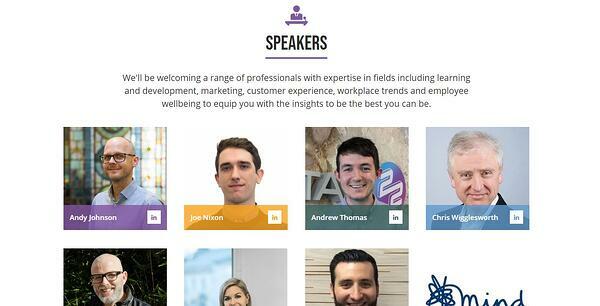 Gather speaker bios and showcase the experts on offer at your event with eye catching head-shots. Potential registrants will want to see the when, where, what and how of your event. Make sure your times, venues, directions and any other requirements are clearly displayed on your page. Did you have a great event last year too? Well, why not use it to sell this year’s? 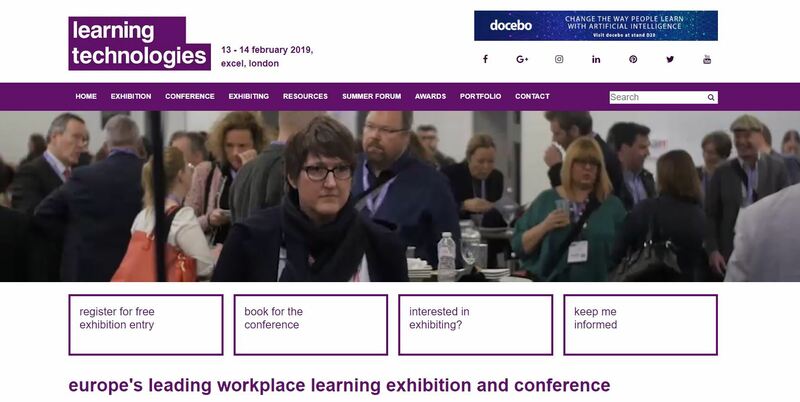 Videos are a great way of showing how successful your conference was last year- consider creating a quick montage of events and networking footage from last year to add to your page. Another way to show potential attendees the benefits of your event, are testimonials from last year’s delegates. If you’re fresh out of testimonials, you can collect quotes from company members and other speakers on what they’re looking forward to at this year’s event. Its important to have at least two call-to-actions on your page. Once page visitors have scrolled to the bottom and looked at all the information available; there should be a highly visible call to action, to remind them they need to book. Don’t rely on them scrolling all the way back to the top of the page to hit that book button. If you have a clear company brand, don’t go all-out creating a funky new look for your event. As tempting as it is to make something that looks super-sleek and on-trend, this will only serve to confuse your regulars and disassociate your event with your brand. Keep it simple and ‘on-brand’. It’s an obvious one but, use great images! One or two amazing images speak much better than tons of ‘just-okay’ ones. Make sure the images you use are well-lit; sharp, and speak to what you are selling. Call-to-action buttons should be the most visible thing on your page and need to be as straight-forward and obvious as you can make them. Use a big button that says ‘sign-up’ or ‘book now’, and have at least two on your info page. Mobile use for online purchases is a steadily growing trend, with more than 50% of searches being made online since 2017. Not only does creating a mobile friendly landing page mean that you can appeal to a wider search market; it also ensures that google ranks you higher up the search list, as your Google search ranking is now dependant on your mobile usability, amongst other things..
Want to learn more about using content marketing to secure course and event sign-ups? Download our free content marketing guide for training companies.